In addition to the three major motorsport series, Schaeffler is involved in other areas of racing. Examples include Formula Student, an engineering design competition for college students that offers a fascinating mix of motorsport and the art of engineering. Here Schaeffler has been supporting teams with know-how and products for many years. In motorsport categories as spectacular as tractor pulling or desert rallies, Schaeffler components have been proving their durability as well. 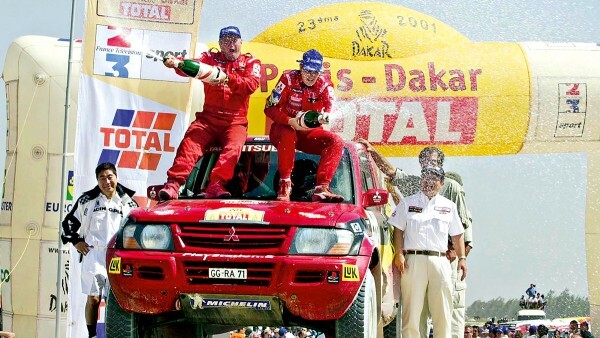 Motorsport makes high demands on the abilities of all the players involved. 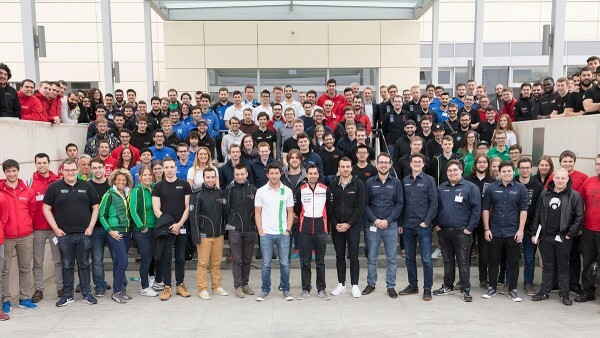 Technical know-how, passion and ingenuity meeting in sporting contests: These characteristics motivate the budding engineers and experimenters of the Formula Student engineering design competition to deliver top performances year after year as well. Since 2006, Schaeffler has been supporting student teams with expertise and products. 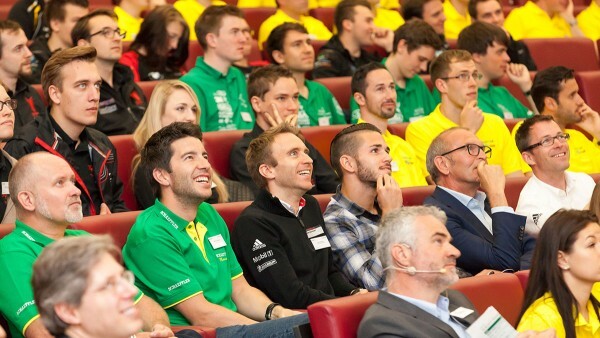 The annual Motorsport Academy at Schaeffler’s headquarters in Herzogenaurach has by now become a tradition. Formula Student offers future engineers the opportunity to literally experience their theoretical knowledge in practice. According to the regulations, the university teams are not only supposed to develop and build a race car of their own, but to also market it within the space of one year. Subsequently, they are pitted against each other with their prototypes in various disciplines in competitions around the world. “Success in motorsport is closely related to the skills of every individual, but above all to teamwork. Motorsport calls for innovative prowess, determination and courage – this equally applies to the daily endeavors of all Schaeffler employees. Formula Student provides a unique interface between university and industry,” explains Prof. Peter Gutzmer, Deputy CEO and Chief Technology Officer of Schaeffler AG. In the 2017 edition of the German event, Formula Student Germany, the teams supported by Schaeffler pay back the trust placed in them with strong results. The “GreenTeam” of Stuttgart University and the “AMZ Racing Team” of ETH Zurich take positions one and two in the category for electric powertrains. The budding engineers from Switzerland additionally win the class for automated driving held for the first time. 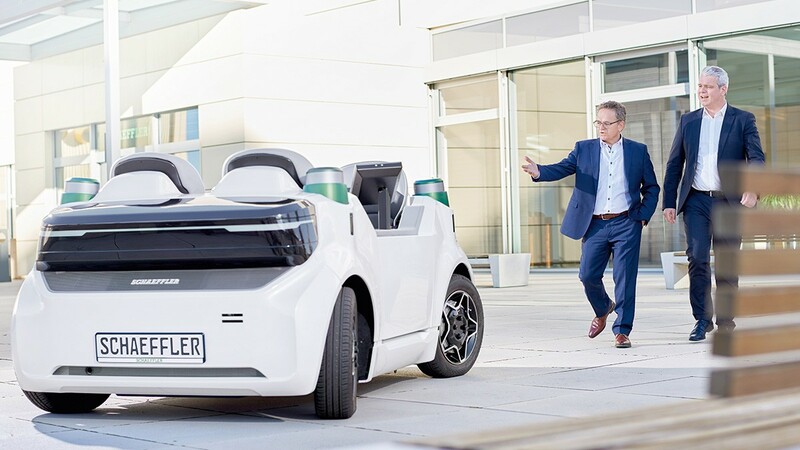 The “KA-RaceIng Driverless” team from Karlsruhe Institute for Technology (KIT) that is supported by Schaeffler as well claims position two. In the category for ICE powertrains, Stuttgart University as the best Schaeffler team comes third. Motorsport of a different kind: The Kitzbühel Alpine Rally is not about pole positions, fastest race laps and champagne showers, but rather about enjoyment: enjoyment of nature, enjoyment of historic vehicles and enjoyment of socializing with others. Since 2002, Schaeffler has been partnering with the rolling motor show. In 2017, the popular classic car tour took place for the 30th time. At the anniversary edition, the 188 participating teams for the first time crossed the Grossglockner High Alpine Road in the middle of the glacier world of the High Tauern mountain range. Celebrities regularly take part in the rally. In 2017, for instance, Schaeffler’s brand ambassador Mike Rockenfeller participated in a 1974 Audi 80 GT. 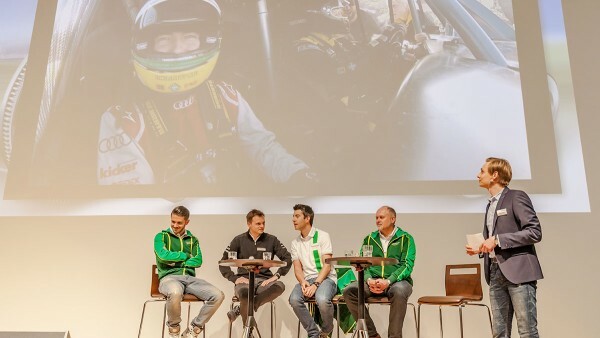 In addition to the major motorsport programs in Formula E, the WEC and the DTM, Schaeffler has been in involved in other series and events in recent years. 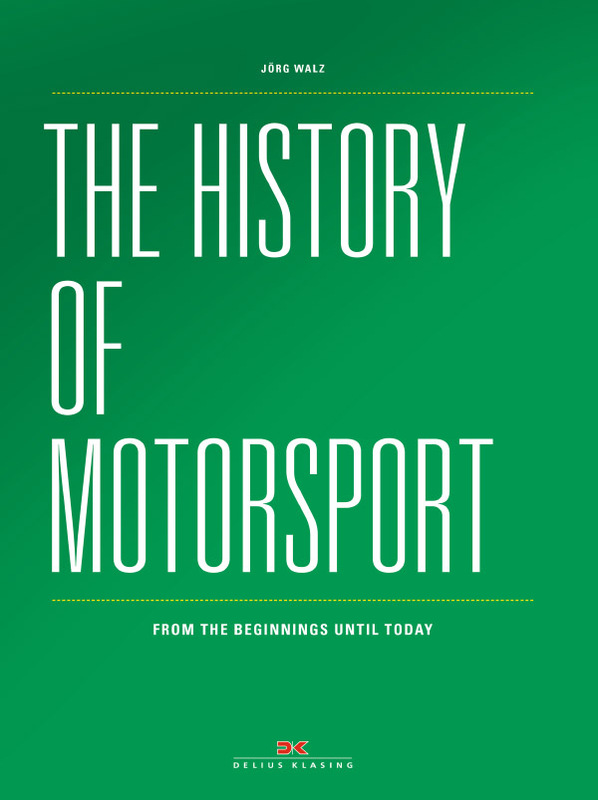 Here’s an overview that illustrates how strongly the company is rooted in motorsport and thereby continually underscores its expertise also on the world’s race tracks and rally routes. In the German-speaking region, there is hardly a more experienced expert in off-road racing than Armin Schwarz. 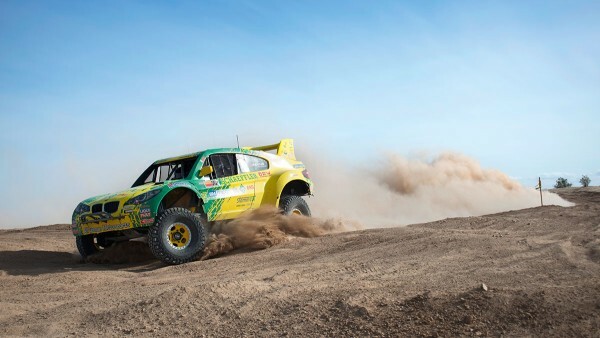 Having been active in the World Rally Championship for many years, the native of Franconia has been competing since 2006 in 800-hp Trophy Trucks in the SCORE International desert racing series and the Baja 1000, the season’s pinnacle event. Schaeffler and Schwarz have been enjoying a partnership for many years. In 1986, for instance, on winning the title in the Mitropa Rally Cup, the company’s brand ambassador was racing in an Audi 80 quattro wrapped in a livery featuring Schaeffler’s INA product brand. A motorsport highlight for pros and a fascinating challenge for privateers – the 24 Hours of Nürburgring, the major endurance race on German soil, has many facets. In 2013, Schaeffler sponsored Bonk Motorsport. 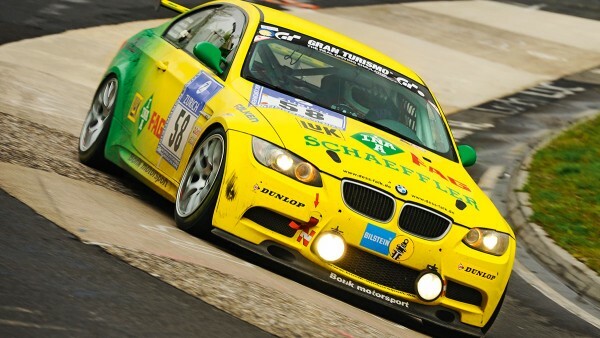 The family-owned outfit won the GT4 class with a BMW M3. Clutches from Schaeffler’s LuK product brand help transfer the 8,000 horsepower of the pulling tractors to the ground. 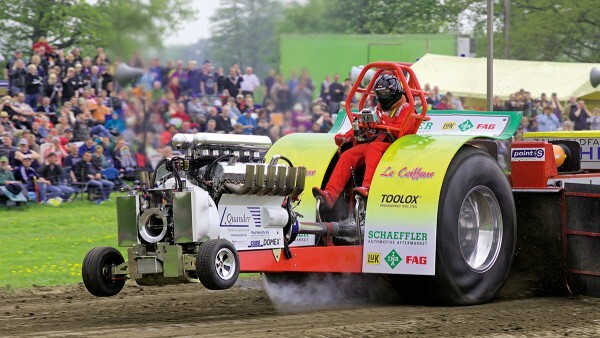 In 2012 and 2013, the Le Coiffeur Tractor Pulling team from Bad Iburg in the 2.5-ton class even competes with a 4,000-hp tractor sporting Schaeffler’s colors and celebrates success after success. 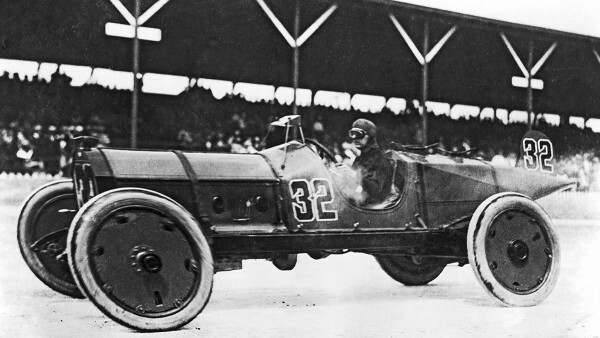 More than 100 years ago, the “Marmon Wasp” race car won the legendary “Indy 500” – not least thanks to ball bearings from Schaeffler’s FAG product brand. 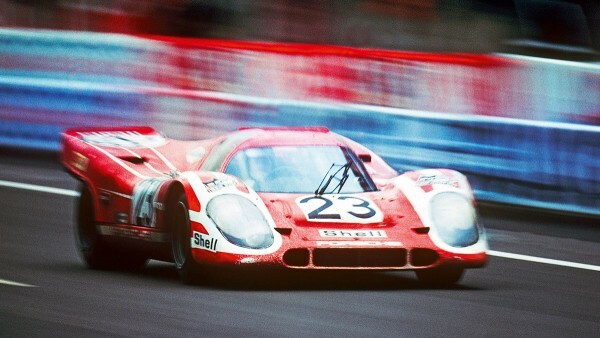 Installed in the 1970 and 1971 winning car, the Porsche 917, are bucket-type tappets from Schaeffler’s INA product brand. Be it in the 1980 VW Iltis, in Jutta Kleinschmidt’s Mitsubishi Pajero or in the VW Race Touareg – products from Schaeffler were used in all of these winning vehicles. 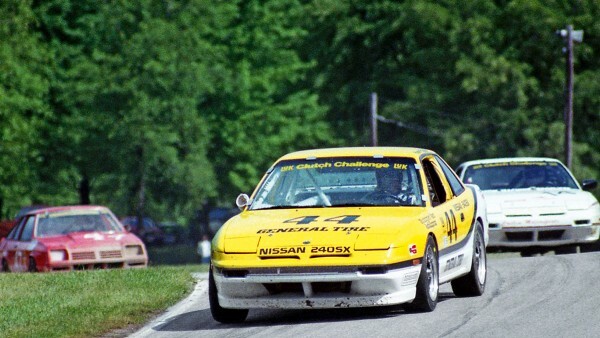 In 1989 and 1990, LuK was the title sponsor of a touring car championship in the United States in order to enhance the brand’s popularity overseas. 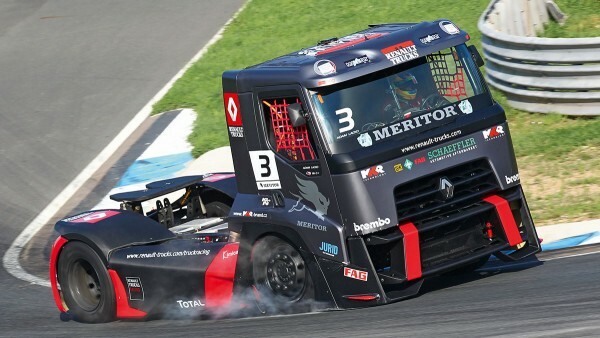 5.5 metric tons of weight, 1,100 horsepower, 5,600 newton meters of torque – the “monsters” of the European Truck Championship are the largest, heaviest and most powerful circuit racing vehicles. Schaeffler was involved in the Central American series for four years. The title win by Mexican Jorge Goeters in 2012 marked the highlight of this commitment.